It was an admittedly friendly audience. 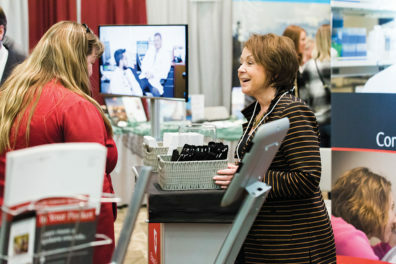 It was a late Thursday afternoon and dozens of WSU Cougar alumni business owners had set up displays in a ballroom at the Washington State Convention Center in downtown Seattle for the annual “CougsFirst!” trade show. 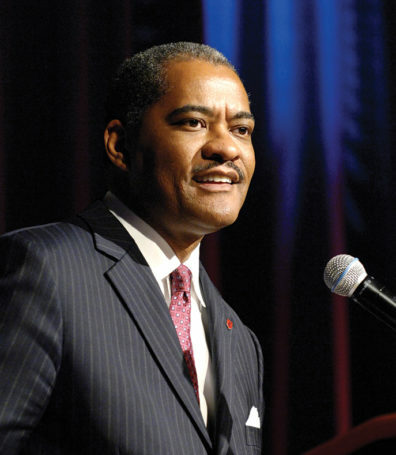 Guests enthusiastically responded – and even initiated conversations – with comments such as “We’re so excited” or “This is the right time for this.” They talked about how the medical school would add to WSU’s stature as a Tier 1 research university and they commended the visionary leadership of President Floyd. Others said they had heard about the proposal, but knew few of the details. They asked questions about when the medical school would begin teaching students, about the status of the accreditation process and where prospective applicants could find more information. Many of the same questions were asked by members of a different audience – healthcare providers – the following week at the Northwest Rural Health Conference in Spokane, where the college also sponsored a booth. “The most common feeling expressed was the hope that our College of Medicine will help increase the supply of primary care physicians,” said George Novan, the associate dean for Student Affairs. Before the college can begin training students, it must first earn its preliminary accreditation from the Liaison Committee on Medical Education (LCME), the accrediting agency for allopathic medical schools in the U.S. and Canada. 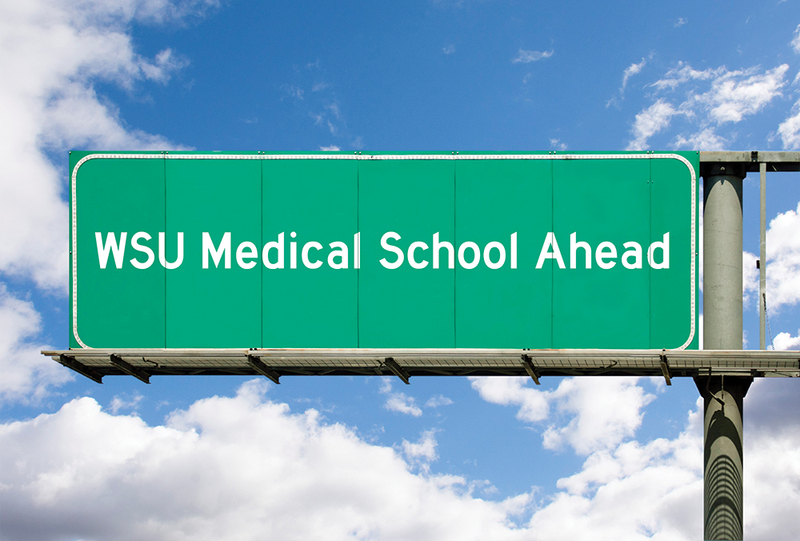 In February, the LCME granted the Elson S. Floyd College of Medicine “candidate” status. In late June, the agency will send an expert review team to Spokane to pore over the college’s application, ask hard questions and report on the school’s readiness to begin teaching medical students. Then at its meeting in October, the agency may determine whether WSU’s medical school is ready to recruit and admit students. If that permission is given, the college expects to immediately begin a marketing campaign to attract potential students. One theme that will likely be part of that campaign has been used from the beginning of WSU’s effort to create a medical school: students will have the opportunity to learn how to provide primary care, especially to patients in rural and urban underserved areas. That appeals to prospective students who have sent email inquiries to the college. In addition, the college has identified several other themes designed to help it stand out from other medical schools. All were developed from ideas raised during a culture building workshop led by the dean in December. The first theme is allowing students to personalize their education. Tomkowiak also wants to create physician leaders and entrepreneurs. He says the school plans to build into its curriculum a series of courses designed to develop students’ leadership skills. Graduates will receive a certificate in leadership. Finally, he wants to create for students a lifetime bond with their medical school. For WSU alumni, “Once a Coug, Always a Coug” is a powerful message, one that guides the “CougsFirst!” gathering in Seattle. Ten or 12 years from now, it’s not hard to imagine WSU-trained physicians participating in the event, perpetuating President Floyd’s dream of Cougar doctors serving their communities.